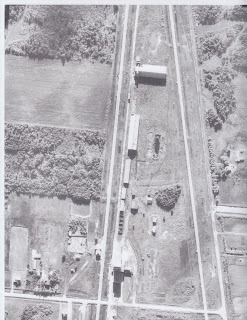 Aerial view, 1950, in the RM of Charleswood, showing the intersecting roads of Elmhurst Rd, Ridgewood Ave, and Wilkes Ave.
Main buildings are the Pacific Junction railway station and the Searle grain elevator, annexes and yard site with assorted storage buildings. 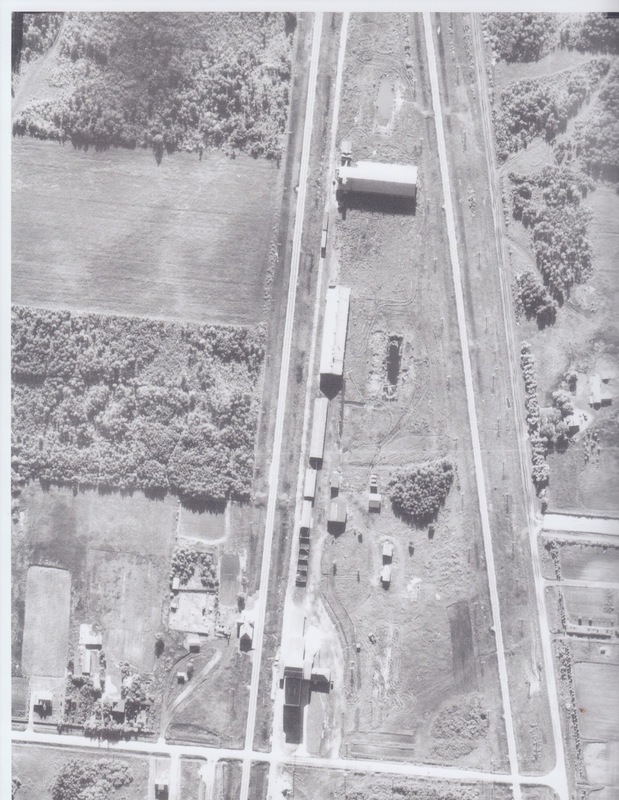 Aerial view, 1950, of Searle grain elevator, Pacific Junction Railway Station and other assorted buildings. Located in Charleswood, Manitoba at the corner of Elmhurst Rd and Ridgewood Ave.